Get the most out of your air! This 90 Degree Remote Line Adapter has a one way valve built into it. 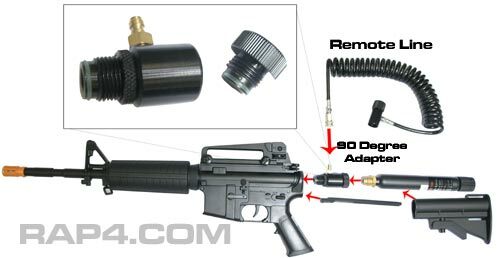 It can be attached to your marker and then have an air tank attach right behind it. 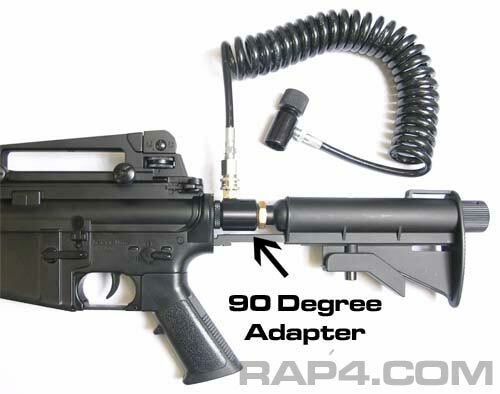 You can use your main air tank until it is emptied and then attach your remote line to the 90 Degree Remote Line Adapter without having to remove your main air tank. This is the fastest and the easiest way to have non-stop action in the battle field.